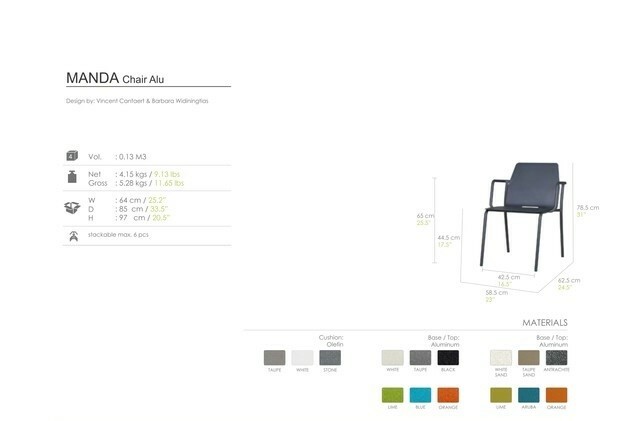 The all aluminium Manda chair creates a contemporay look. 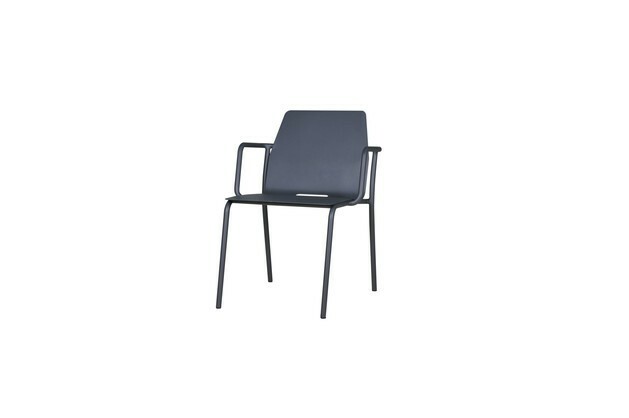 Stackable and comfortable, recommended for bistro use. Cushion in Olefin or Stamskin available.